A quick chat with musicians Jeremy De Tolly and Thomas Glendinning to discuss influence, their next album and where exactly they got their name. See the entire collection of posters by over 40 South African illustrators and graphic designers that Alexander’s Band curated for the Paper Planes exhibition. The Jupiter Drawing Room tore, folded and glued brightly coloured pieces of paper together to create the striking branding for Design Indaba 2015. 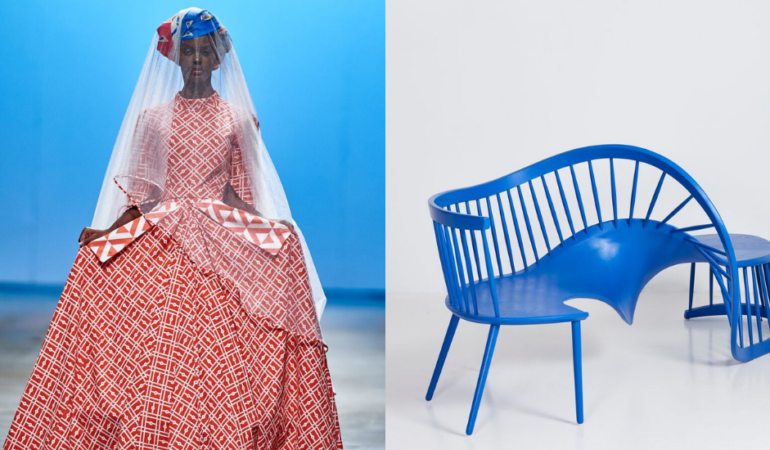 We chat to 10 African Design Indaba speakers about the current state of creativity on the continent and why they’re excited to be part of it. The 2015 Design Indaba conference was brought to close by a dramatic lecture on ideas by renowned artist William Kentridge. Day 3 of the Design Indaba conference was almost impossible to pick highlights from. We watched some incredible videos from Casey Neistat’s low-fi home videos to Yoni Bloch’s high tech interactive experiences, and listened to Dan Wieden’s personal chaos theory. The Design Indaba Expo opened to the public today and runs for the remainder of the weekend. And that’s a wrap for an incredibly inspiring Day 2 of the 2015 Design Indaba conference. See the best that was shared. A taste of what to expect from the fantastic line up of African musicians performing as part of Design Indaba Music 2015. Design Indaba Day 1 is down. These are the people and projects that we’re still thinking about as we head into Day 2. Stay tuned for more over the next few days. As far as creative events go, this week is definitely the biggest one of the year. The Design Indaba expo, GUILD Design Fair, THAT ART FAIR and Cape Town Art Fair are all opening over the next few days. Good luck, we’ll see you on the other side! As part of our Meet The Curators series we spoke to digital artist and founder of African Digital Art Jepchumba, who is also one of this year’s Design Indaba expo curators.